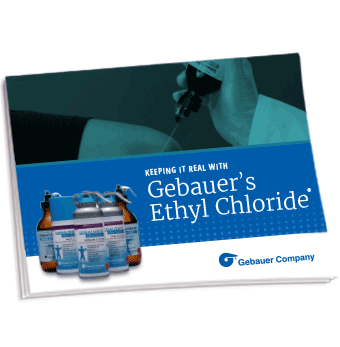 Gebauer’s Ethyl Chloride® has been in use by physicians like you since 1905. While a lot can change in 100 years, Gebauer’s Ethyl Chloride’s safety has stayed consistent. Fill out the form to download your slide deck.